For other uses, see Yaqui (disambiguation). 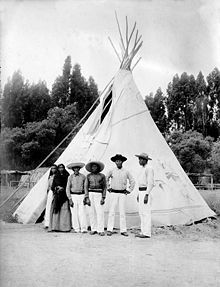 The Yaqui were impoverished by a new series of wars as the Mexican government adopted a policy of confiscation and distribution of Yaqui lands. 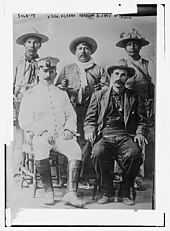 Many displaced Yaquis joined the ranks of warrior bands, who remained in the mountains carrying on a guerrilla campaign against the Mexican Army. The Yaqui religion, which is a syncretic religion of old Yaqui beliefs and practices, and the Christian teachings of Jesuit missionaries, relies upon song, music, prayer, and dancing, all performed by designated members of the community. They have woven numerous Roman Catholic traditions into the old ways and vice versa. For instance, the Yaqui deer song (maso bwikam) accompanies the deer dance, which is performed by a pascola (Easter, from the Spanish pascua) dancer, also known as a "deer dancer". Pascolas perform at religio-social functions many times of the year, but especially during Lent and Easter. The Yaqui deer song ritual is in many ways similar to the deer song rituals of neighboring Uto-Aztecan people, such as the Mayo. The Yaqui deer song is more central to the cultus of its people and is strongly tied into Roman Catholic beliefs and practices. ^ Shorter, David Delgado (December 1, 2007). "Hunting for History in Potam Pueblo: A Yoeme (Yaqui) Indian Deer Dancing Epistemology" (PDF). Folklore. 118 (3): 282–306. doi: 10.1080/00155870701621780. Retrieved September 29, 2018. 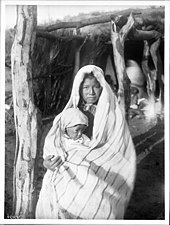 Wikimedia Commons has media related to Yaqui.